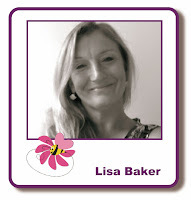 Hi everyone, Lisa here, how are you? I hope you've had a great August, I've certainly enjoyed the gorgeous weather we've had the last few weeks. 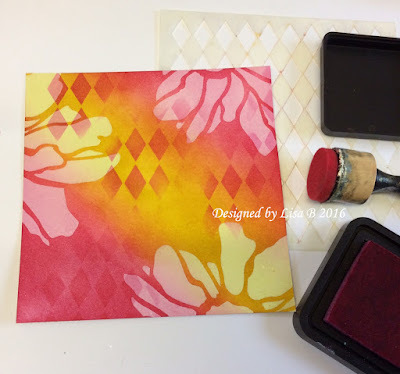 As usual it was a busy month for me, with two visits to the Hochanda studios for Imagination Crafts. I returned on Monday, following our One Day Special shows. Thank you very much for all the lovely comments and messages on the MDF baubles. I really enjoyed designing them and I was thrilled with how they turned out, so it's wonderful to get such a positive response. 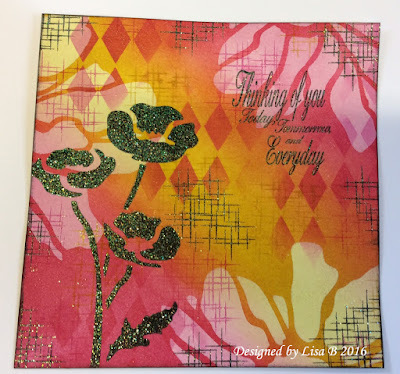 All of my samples can be seen in my board on Imagination's Pinterest page. This Friday is class day in Fant Lane Community Hall, Maidstone; it seems to come round quicker every month. We are heading into autumn, so I've decided that we need to make a start on our Christmas cards and with that in mind, we're going to be using some of the beautiful new Christmas stamp sets from Hobby Art, as well as the Cardio Combinations Fern Branch & Pine Branch sets. If you already own any of these stamp sets, please feel free to bring them along for your own personal use. (I know not all of you have the Spectrum Aqua pens & the Versafine ink pad. I do have a set of pens & a few ink pads, but not enough that you won't have to wait to use them). Class times are 2.30 to 5.30 and 6.30 to 9.30. There are a few places available in both, so if you would like to join us, please contact me on 01622 675078, before lunchtime on Thursday, September 1. This gives me time to prepare your class project kit. The cost of the class is £16. This includes your projects, a tool kit to use during the class and complimentary tea/coffee with a slice of cake. A deposit of £6, or full payment in advance will secure your place. Please make any cancellations three days in advance, this gives me time to try to fill your place. After that, deposits are non-refundable. The mobile shop will be in Fant Hall from 2.30 to 9.30 on Friday night - remember to bring your loyalty cards! The shop is open to all, so even if you're not attending a class, feel free to drop in. In other news for September, I have hired a stand at the Arts and Crafts Fair, which is taking place alongside the Southern Model Show at Headcorn Aerodrome, TN27 9HX, on September 10 and 11. It's the first time I've done a craft fair for Lisa B Designs and I'm quite excited to see how it goes. So, if you're free during that weekend, come and say hello. 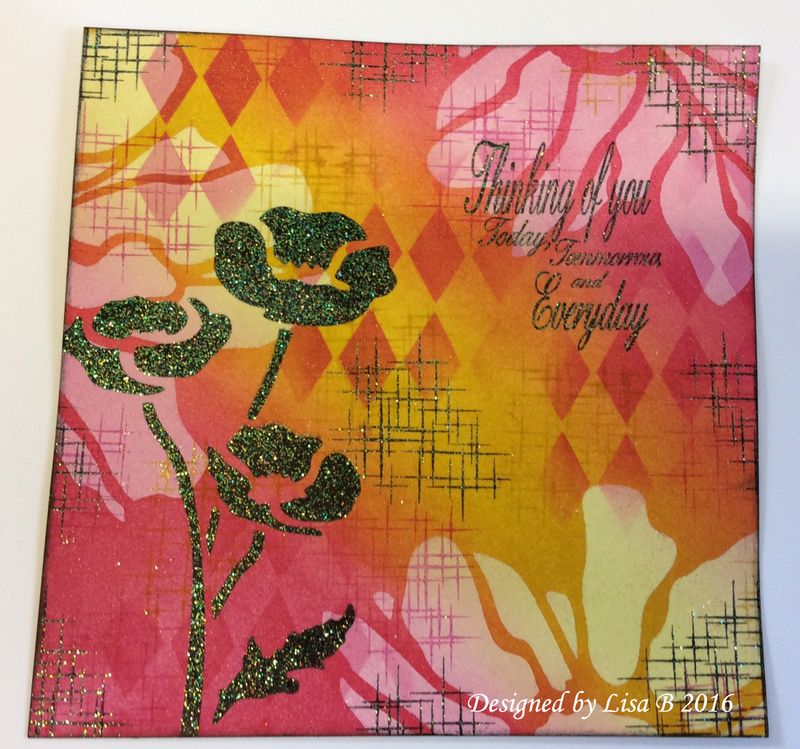 I'll post more information on the Lisa B Designs Facebook page next week. If any of you will be near Exeter between September 22 and 25, why not visit the Stitching, Sewing and Hobbycrafts show at the Westpoint Centre? I'll be demoing alongside Sue on the Imagination Crafts stand; A11, we'd love to see you. I think that's all the news I have for now. I'll see lots of you on Friday in Fant Lane Community Hall and I hope to be back with the October newsletter at the end of September. Have a great month. 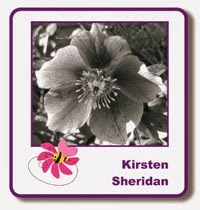 Hi everyone, Kirsten here with a scheduled post as it's a bank holiday here. Hope you've all had a great weekend, but is anyone else finding it hard to believe that it's the end of AUGUST??!! 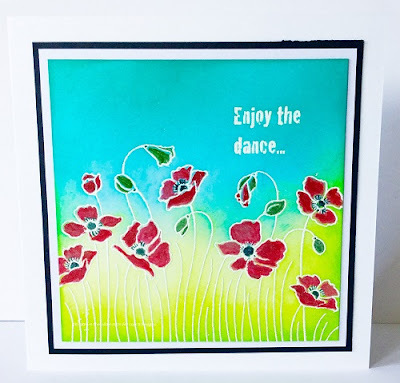 I have three quick & easy cards to show you today, made with Stampendous stamps; Field of Daisies & Field of Poppies & a Craft Emotions stencil; Poppy Fields. 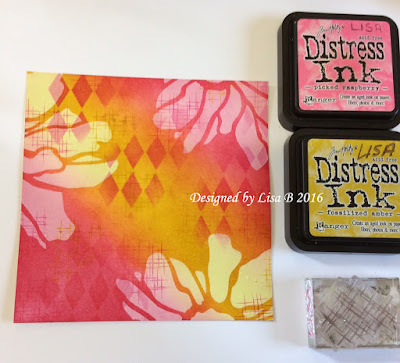 I used Distress inks for all three backgrounds. Dinky Reverse Honeycomb stencil & a Crealies stamp with embossing ink & white EP on the background. That's it from me for today. 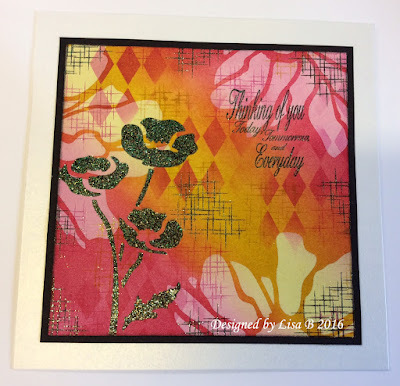 Lisa will be making her way home from Hochanda today. 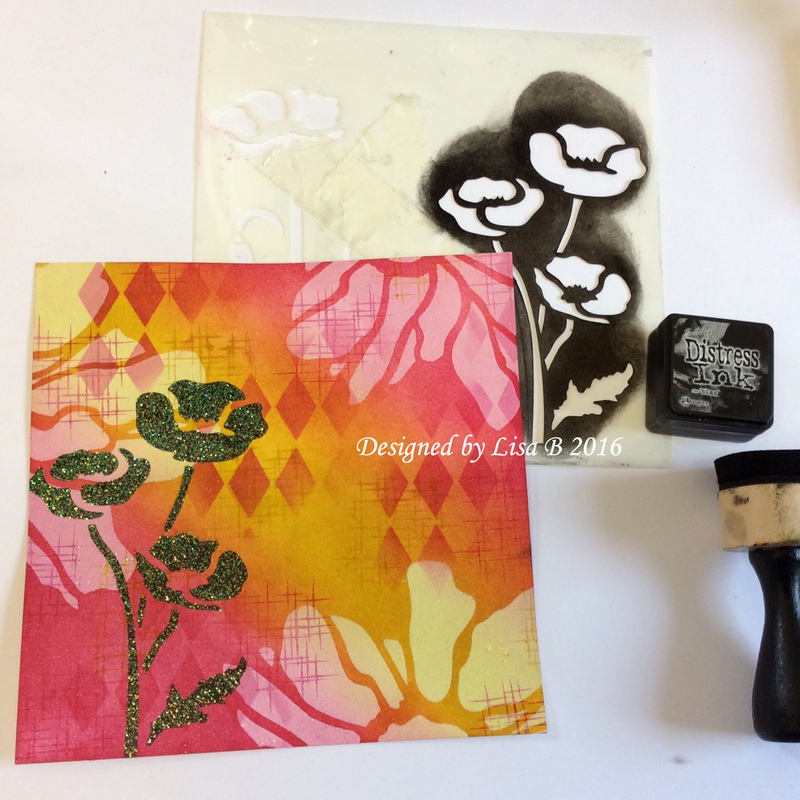 If you managed to see some of the Imagination Crafts' ODS shows, we hope you enjoyed them & if not, they're available on catch up for the rest of the week. This coming Friday is Class Day for us in Maidstone, there will hopefully be a newsletter with information about that on its way to you in the next few days. 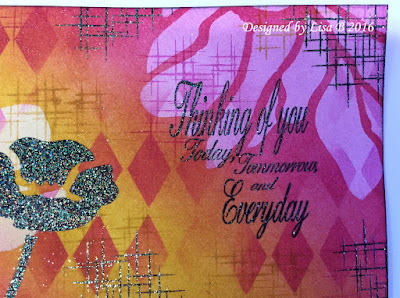 Have a great Monday & thank you for visiting the blog. Labels: craft classes, Craft Emotions, Crealies, Dinky Stencils, Distress Inks, Imagination Crafts Starlights, Lisa B, Maidstone, Stampendous, That's Crafty, WOW! Hello crafters, Julie here, I hope I find you well today and you are enjoying the sunshine. 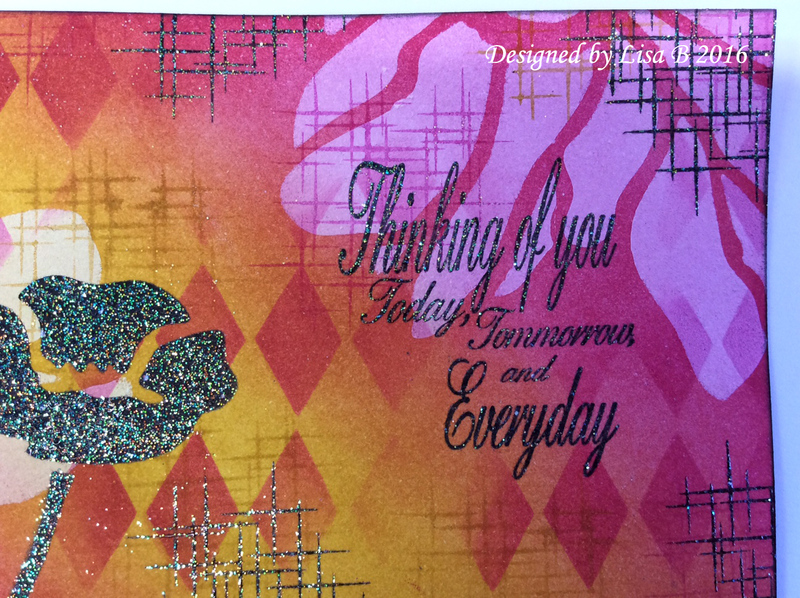 Today's card is another using the building up layers technique, as this was the theme from the August class. I decided it was about time I did more of a male card for this week. I must apologise now as I was crafting with my mum at the weekend, (which I should do more often!) and I completely forgot to take photos of the stages.....whoops! 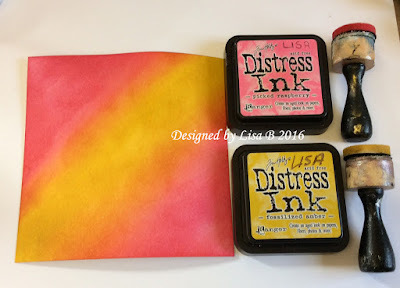 Twisted Citron Distress Inks. 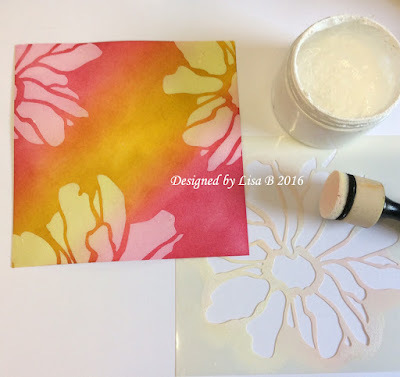 Then I used the That's Crafty Cogs (tc050) Dinky Stencil, masking it for the areas I wanted and applied white gesso through it with Cut & Dry foam. I heat set this to make sure my layers were dry. Next I stamped my greeting, the Stampendous Celebrate Birthday stamp, with Versamark ink and heat set with WOW! Opaque Bright White embossing powder. 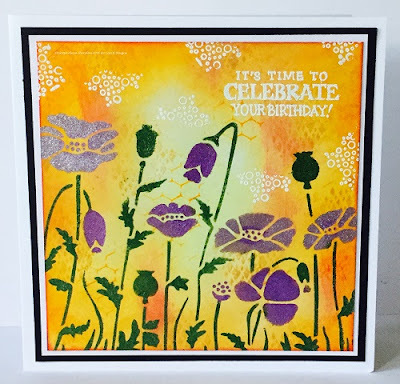 Then I stamped Crealies Bits & Pieces stamp CLBP03 in Twisted Citron Distress Ink and Salty Ocean to complete the main event of this card. 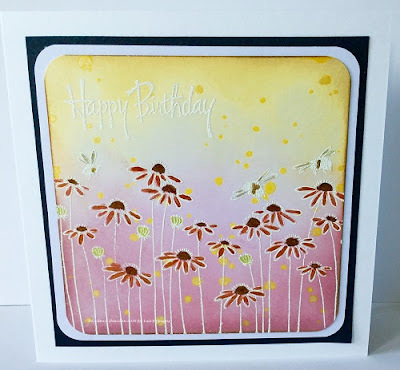 I matted it onto some coordinating card from my stash and attached that to a 7x7 white card blank. I hope you like this quicker make. Thank you for visiting the blog today, have a good week. Labels: craft classes, Crealies, Dinky Stencils, Distress Inks, Lisa B, Maidstone, That's Crafty, WOW!